Seniors on the Move - "Danish Villages Tour"
Tuesday, April 23 8:00 a.m. - 6:30 p.m.
Velkommen! Experience a day of "All Things Danish," as we tour the Danish Windmill, an authentic windmill built in 1848 and imported from Denmark. You'll see the grinder and be able to watch the sails go round on a windy day. 8:00 a.m. First pick up at Bonanza parking lot - 5029 NE 14th St. in Des Moines. 8:25 a.m. Second pick up at southwest corner of Walmart parking lot, 1001 73rd St. in Windsor Heights. 10:00 a.m. 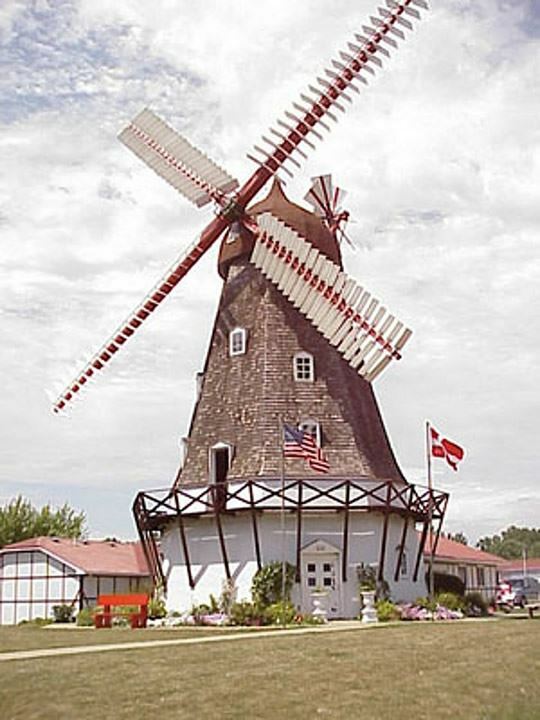 Arrive in Elk Horn and tour the Danish Windmill, Viking House, and Morning Star Chapel. Shop local stores and the Egg Crate, a flea market area with antiques, upcycle items, crafts, candles and jewelry. 11:45 a.m. Danish Lunch at the Cottonwood Barn, followed by a walk to see "The Little Mermaid", a replica of the famous statue that stands in the Copenhagen harbor honoring Hans Christian Andersen's fairytale. 1:15 p.m. Tours of Bedstemor's Hus, a restored 1908 Victorian Home and The Museum of Danish America. 4:00 p.m. Tour of the Danish Countryside Vines and Wines. And, yes, there will be wine-tasting for those who are interested.